This article gives an example of differentiation in a unit of inquiry in the teaching Chinese as an additional language classroom. This year I welcomed a new class of third year students studying Chinese as an additional language. They were very enthusiastic, all with different personalities and interests. There was also significant disparity in their understanding of Chinese and individual learning ability. Some students had just immigrated to Hong Kong from the UK, some had special learning requirements and some had had the benefit of a Chinese tutor at home so their Chinese level was very good already. So the focus of my teaching plan this year became how to guide and help the students to understand a single central idea and build a lasting understanding of the language. At the same time, they would develop the best possible skills both in knowledge of Chinese and actual use of the language, all within the scope of their own abilities. Faced with a class full of lively, lovable children with clear differences in learning ability, I designed my learning plan around the differentiation I would have to introduce into my teaching. I would like to share an example at this point, which was a stand-alone inquiry unit of the Chinese course, and formed part of an advanced course on the theme of How we express ourselves. The central idea for this unit helped the students deepen their understanding of stories as a means of expression that can in turn help us to understand the function of language and to express our own thoughts and ideas. The lines of inquiry not only provided a guide for the students to understand the structure and features of a story, but also encouraged them to give free rein to their creativity, using Chinese language in a real setting. Able to respond to the question: Why is my story good / interesting? To create an effective environment for language inquiry, each lesson provided students opportunities to listen to, watch and read different short stories in Chinese. Through discussion and comparison, we identified and summarized the genre, characters, location and events of these stories. Each group then carried out language inquiry activities arranged on the basis of the three progression levels, such as listening to stories, searching for suitable illustrations, and piecing stories together. Activities also included guessing the endings of stories, changing sad stories into happy ones, using hand puppets to tell a story, and so on. At the end of this unit, the students used the tablet-based Book Creator application to create and record their own stories. Although each student’s story had differing vocabulary and sentence structure, the illustrations and text in each revealed each student’s ability. Moreover the students thoroughly enjoyed using Book Creator and were proud to share their stories with their mums and dads. I observed the students displaying creativity and Chinese language skills through their stories, and listened as the students composed their illustrations and text, explaining why they used certain colour combinations in their illustrations, for example. Throughout the entire unit, I was deeply impressed with the students’ puppet shows. Within this supportive environment, the students were engaged in discussing content, planning action and dialogue, while displaying their use of learned vocabulary and sentence structures. The students who had special learning requirements or were new to Chinese this year, gave me a good sense of their potential through their simple dialogue and abundant body language used in their stories. I continually reflected on the teaching plan and content of the unit as it progressed. Even though the Chinese short stories provided in class provided valuable evidence and sufficiently attracted the students’ interest and attention, I wondered whether it would be better for them to bring their favourite story books into class to share. They could then compare them with Chinese stories or use Chinese to relate them, which could better help them to understand the distinguishing features of the story as well as the general nature of using language communication. I then wondered whether to allow the students to choose their own level of difficulty of language activities, without restricting them to fixed groups, based on the three progression levels. With these questions in mind, I begin preparations for next year’s third year Chinese language inquiry unit. 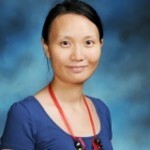 Jiali Luo graduated from the University of Melbourne (Bachelor of Education, Primary) and also obtained a Postgraduate Diploma from the University of Hong Kong (Teaching Chinese as a Second Language). 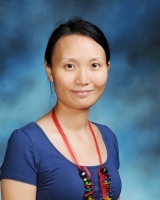 Jiali has taught in various schools in both Hong Kong and Australia. She is a PYP workshop leader and has been teaching in PYP schools since 2007.